Welcome to the premier watersports venue on the Outer Banks. 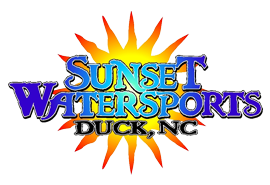 Sunset Watersports offers the best location for your water activities with an opportunity for you to explore the Currituck Sound in Duck, NC. Located at the gazebo at Sunset Grille, you can choose from any of our new equipment to ride on the water, so get set to get wet! Our fully trained and qualified staff will provide a safety orientation as well as instruction on the operation of all equipment. All of our boats and waverunners have all Coast Guard approved safety equipment on board. All of our equipment in 2008 is brand new and is maintained in that condition. All waverunners and outboards are quiet fuel efficient 4-stroke engines offering a smooth, quiet ride. 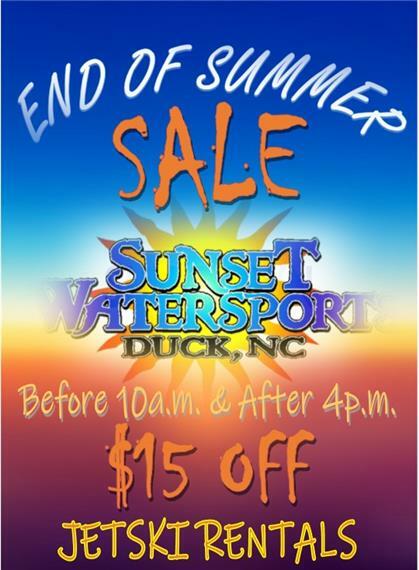 Sunset Watersports presents a unique opportunity for you to place your reservation online prior to your arrival ensuring your spot on the day and time that you choose for your water adventure. Simply visit our Reservations Page or any individual activities page and fill out the secure form. Once submitted we will confirm your reservation by email. Print out your confirmation and bring it with you on the day of your reservation. It's that simple, and convenient! 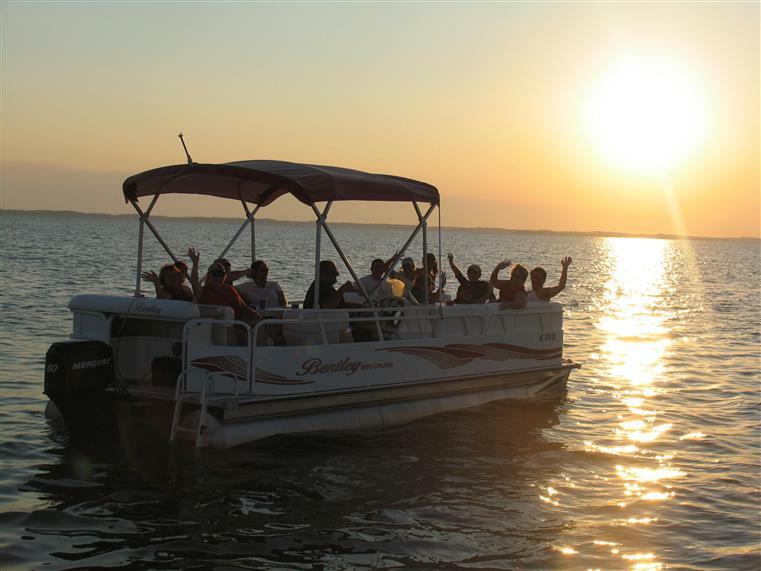 Sunset Watersports offers a secure advance reservations system for your water adventure. Avoid the lines and book your fun prior to your visit.